Right in the middle: Villach! This is how we learned it in school: Villach is an important transport hub, with 60.000 inhabitants, and a wonderful climate. This is how we express it: Villach is a city with historical buildings and impressive churches at the Drau river, situated among wonderful green parks, surrounded by impressive mountain peaks, through with a soft wind blows from the south. 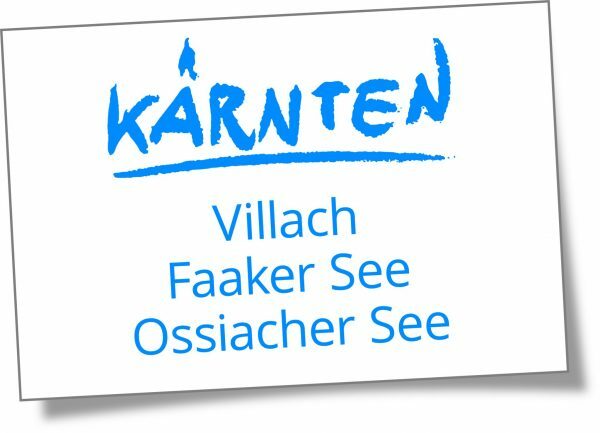 Nearby Villach are some natural treasures of Kärnten, such as the Maibachl, the thermal springs of Warmbad Villach, the Finsterbach waterfalls, or the Jungfernsprung near the castle ruin Landskron; Lake Ossiach and Faaker Lake are nearby. Music, theater, culture and culinary delights cannot be forgotten! Bottom line, here you can enjoy a feeling of relaxation, joy, lust for life and energy! Practical: The ‘Erlebnis Card’ (adventure card) will enrich your stay with a variety of attractive activities. The digital travel companion for the region of Villach. This app offers an overview of events, the most beautiful tours, fine dining tips, shopping and entertaining destinations. Download the Region Villach App right now in your App Store for free.